Prepare to meet the most seductively female and the most shockingly fatal of femmes fatales, brought to you by seventeen of today's finest authors of mystery and suspense fiction. Award-winning editor Otto Penzler presents a collection of short and sizzling masterpieces of kisses and kiss-offs, gams and gats, published for the first time anywhere. In "Third Party," Jay McInerney takes you on a wild ride through the Paris night with a party girl built for speed and sin..."Rendezvous," Nelson DeMille's first short story in twenty-five years, plunges you into a Vietnam jungle where the bloodiest scourge of this man's army is no man at all...back in the U.S.A. of "Louly and Pretty Boy," Elmore Leonard introduces a Depression-era teenage gun moll who loves Pretty Boy Floyd more than she likes knocking off filling stations...and Michael Connelly's colorful and ironic "Cielo Azul" shows how a nameless woman left dead on a Los Angeles hillside can be the most lethal prey of all. 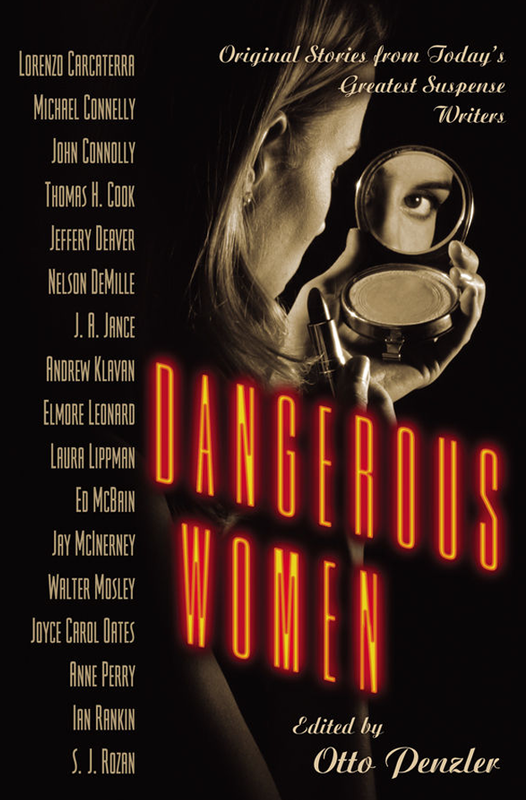 These and a bevy of other very bad girls cast their criminal spells through the powerful voices of Lorenzo Carcaterra, Joyce Carol Oates, John Connolly, Thomas H. Cook, Jeffery Deaver, J. A. Jance, Andrew Klavan, Laura Lippman, Ed McBain, Walter Mosley, Anne Perry, Ian Rankin, and S. J. Rozan in stories as irresistible as the antiheroines that blaze through their pages.